A new Shriekback album isn’t merely a chance to revel in some wholly original music; it is also a journey through some great lyrical landscapes. Here they seem meander between analogies of the modern world and darker futuristic predictions; that travel from looking for “an echo of a Bowie tune” in Berlin to a new world that lies beyond a Metropolis described in a Clockwork Orange style language of their own invention. A world inhabited with characters in equal measure Beat movement bit part, mythical being and William Gibson lowlife. 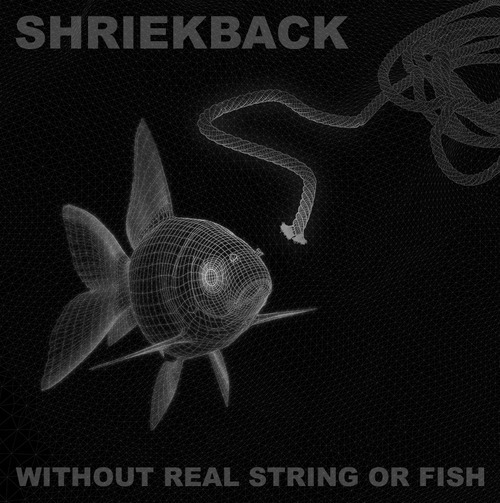 And if unravelling Shriekback’s lyrical world is a mesmerising undertaking, musically they offer just as many twists and turns. The opening salvo, Now Those Days Are Gone goes some way to inform what follows, a sideswipe of nostalgia wrapped up in a sound reminiscent of its subject matter, the era that spawned the band, for in a way that evocative backward glance as you fall headlong into an unknown future lies at the heart of the album. Songs as Post-It notes from the edge? Perhaps. “Mining For Meaning in a House of Song?” Definitely. But rather than revel in the big song, as usual they take a more interesting path, often a neurotic and bleakly intense one built of hypnotic rhythms, dense, almost claustrophobic textures and subdued vibes. It’s an approach that helps the lyrics stay in the foreground, an equal billing with the music that they certainly deserve. The overall result is an album that is dystopian, soul searching and sparking with brilliant ideas, subdued without being melancholic, intelligent without being pretentious and there are not many other bands I could imagine getting those elements so perfectly balanced.